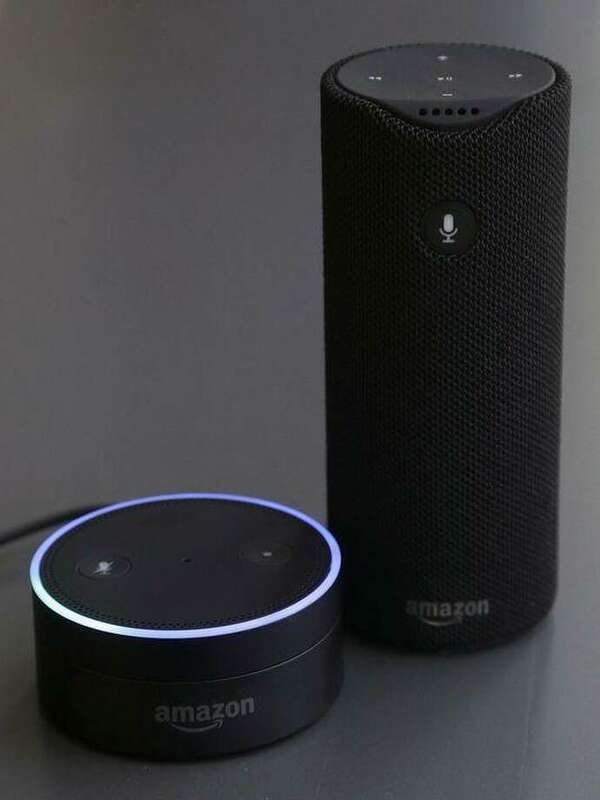 The Echo Dot, left, and the Amazon Tap are joining the Echo. My last column was about gift giving, but mainly handmade gifts. This column is more about gifts with a tech focus. Seems like everything we used to think was not practical to tech enable is now. This includes refrigerators from Samsung to basketballs and footballs from Wilson. Let me start with phones. One of the phones that has impressed me quite a bit is the new Google Pixel and Pixel XL. The tech specs are top notch, other than the fact it’s not water resistant, a fairly common feature nowadays. But what I like about it is that it can be part of a Verizon plan or part Google’s Project Fi. For people who travel internationally, Project Fi can be a godsend, since it works pretty much everywhere and only costs $10 per gigabyte. I also like the idea that the Pixel phone backs up everything on your phone to Google’s servers, so the issue of how much storage you have on your phone goes away. If you’re interested in a new phone, check out the Google Pixel. Amazon’s Alexa line. Seems like everyone’s talking to their computers lately and I’ve covered this previously. Apple’s Siri lets you talk to your phone, Microsoft’s Cortana lets you talk to your phone and computer, Google just introduced its Google Home device and Amazon has its Alexa Echo, Tap and Dot devices, with its Dot costing just $39.99 (on sale). As long as there’s WiFi available and the user has a Google account (they’re free), Amazon had done a great job at making computers easy to use for the whole family. If you want a project for your children, you can also build your own Alexa device using off-the-shelf parts. If you remember the original Google Glass product, there’s a new kid on the block. Snapchat’s new product, Spectacles, is a pair of sunglasses that have two ½” yellow rings on them. One ring includes a camera while the other has a ring of small LEDs that are on when the camera is active. Activating the camera starts a 10 second recording that connects to your phone’s Snapchat app. You can then decide which of these videos you wish to share. If you want to try some of the new virtual reality devices, there are plenty of them out there. The HTC Vive, Sony PlayStation VR, Oculus Rift, and Samsung Gear are all playing heavily in this space. Still not lots of content in this space and it’s evolving nicely, but some of the content is pretty amazing, including the ability to not only view virtual reality world, but interact with them. Star Trek Holodeck, here we come! Of course, with a new Star Wars movie coming out and numerous other licensed products from Marvel, DC, Disney, it’s not hard to find something that your gift recipient will take a shine to. Between tech gadgets and towels, it’s pretty easy to find something with a Wookie or a Klingon on it. Lots of princesses and sports team memorabilia out there, too. If all else fails, going back to cash is a pretty good way to ensure the person receives what they want. From an iTunes card to various different affinity gift cards or simply a Visa gift card that works anywhere, there are lots of ways to ensure everyone on your gift list is taken care of.